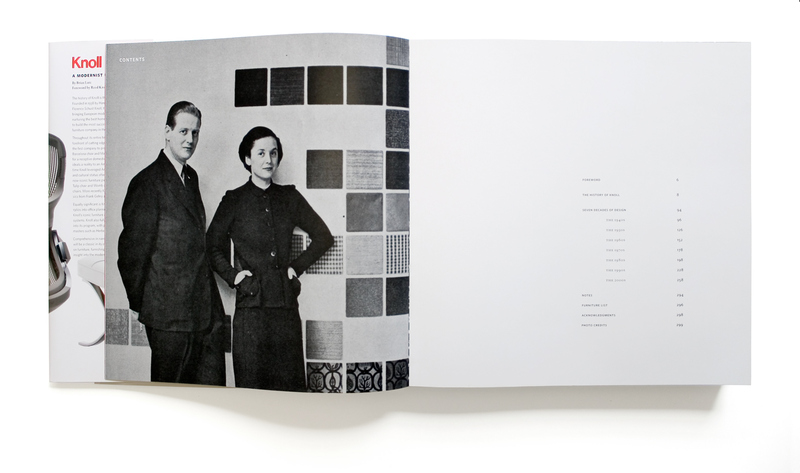 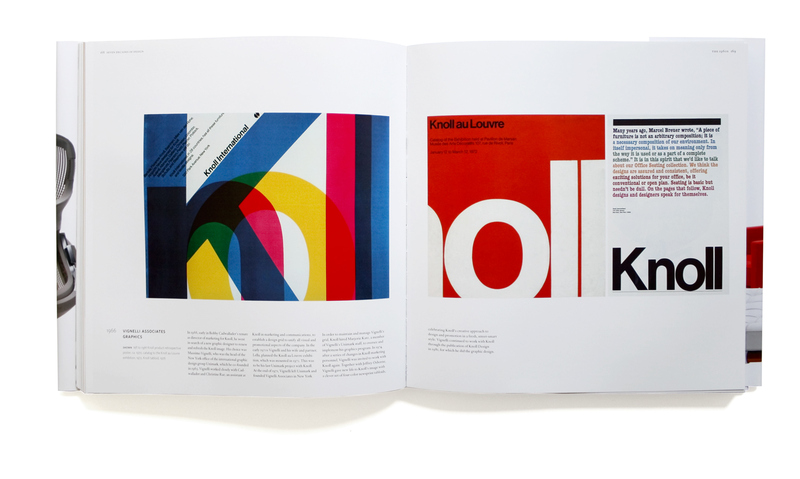 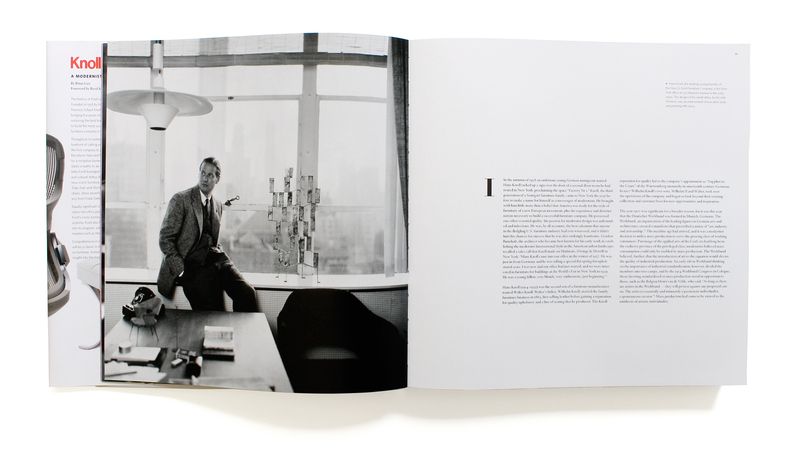 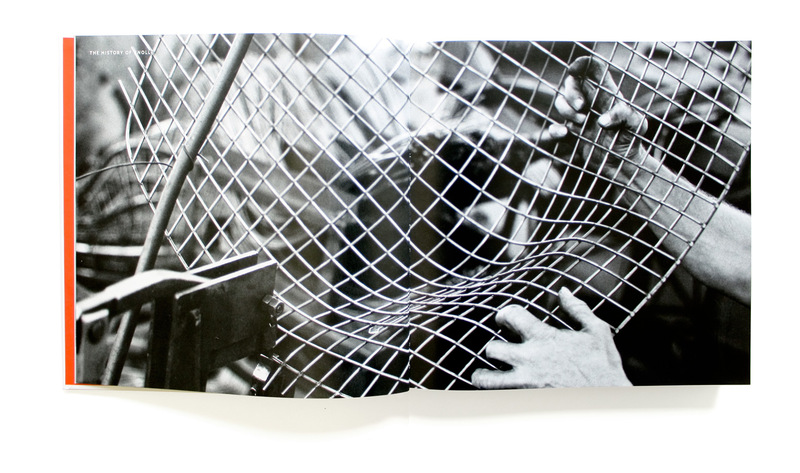 Intended to be a companion volume to the 1981 book designed by Massimo Vignelli, this publication contains a comprehensive history of the famed furniture design company founded by Hans Knoll. 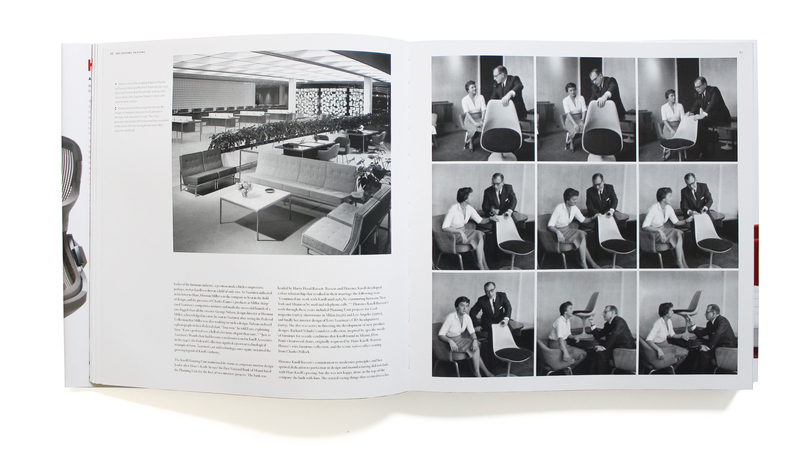 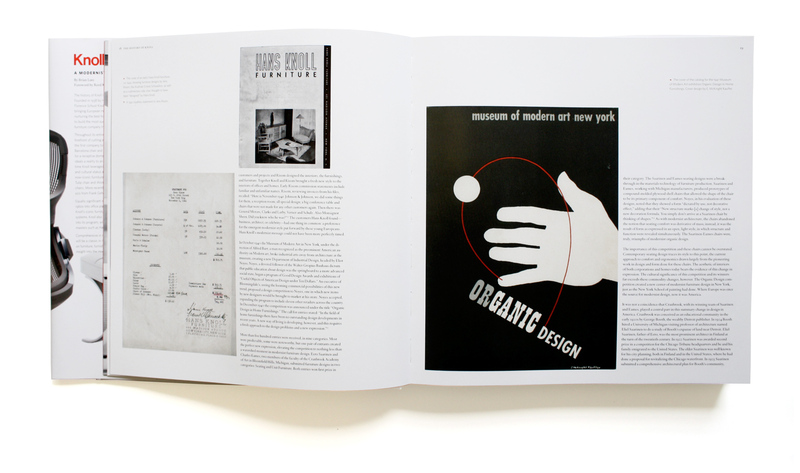 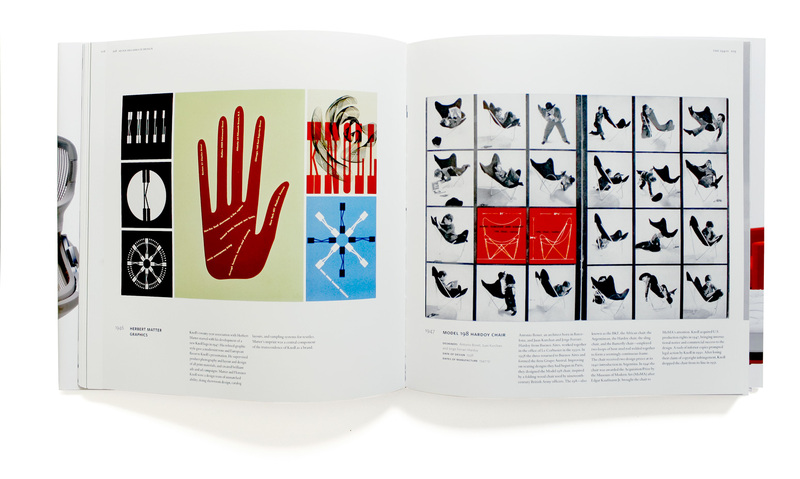 We created chapter openers that progressively document the expanding Knoll universe of modernist design, organizing and adding designers names by decade. 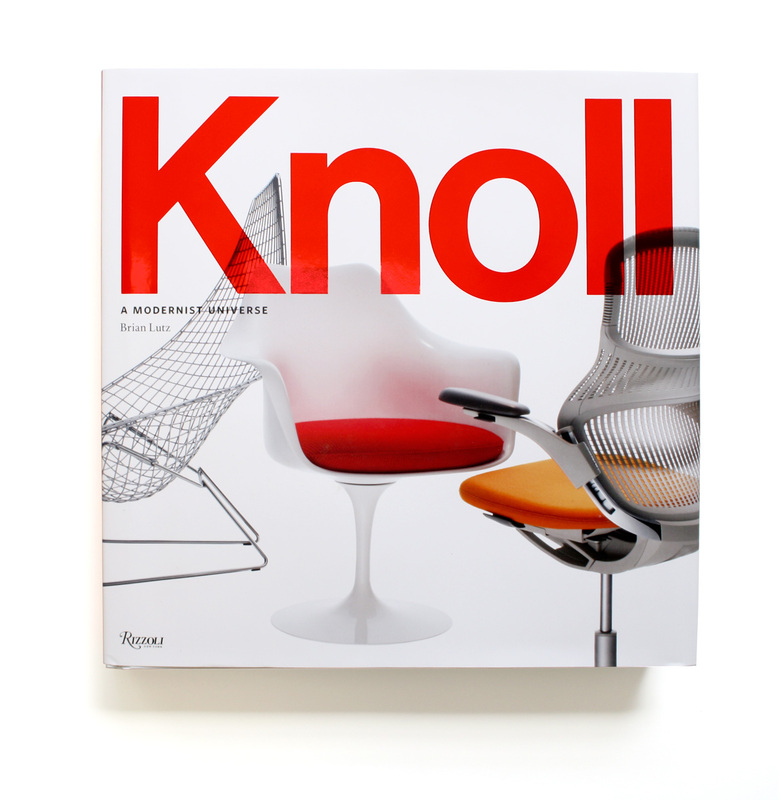 This book also resulted in a memorable roadtrip to the Knoll archives and several excellent lamb burgers. 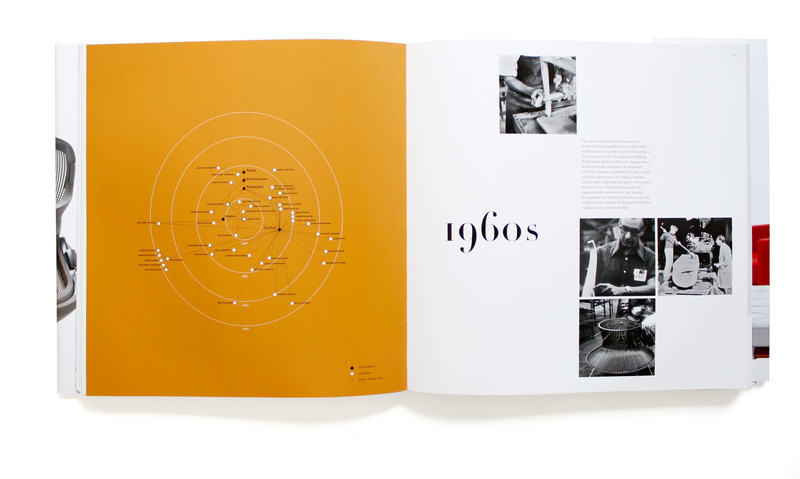 See details of the chapter openers.